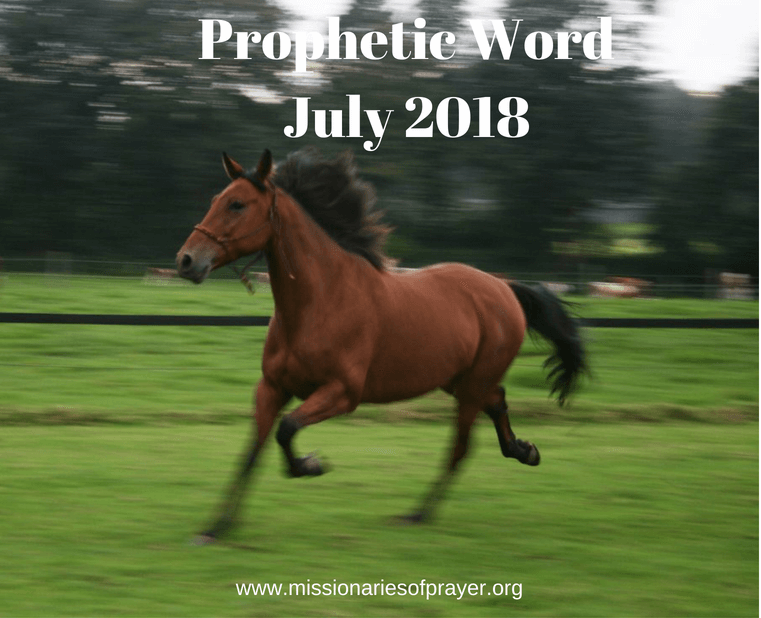 This is the prophetic word for July 2018 which is the month of Tammuz on the Hebrew Calendar. Tammuz runs June 13 – July 12th. If you’ve been following these words you know the warning usually comes at to the end. Well, we need to start with the warning for this month and we only want to point out one thing for the month of Tammuz. Idolatry – Tammuz is named after a Babylonian God (Ezekiel 8:7-14). When you read this story you will see that this idolatry was taking place in the temple by the leaders. Over the years so much destruction and sadness has happened for the people of Israel because of it. Tammuz is also the month when the Israelites built to golden calf (Exodus 32:1-5). The good news is that it is also the month when the golden calf was destroyed. Why was the golden calf built? Simply put it was due to the Israelites being weary of waiting on God. They couldn’t wait any longer for Moses to come down the mountain so they built a idol. You may be thinking what does this have to do with me? Well, first let’s identify if you have an idol. What is the first thing you think about in the morning when you wake up? Throughout the day what consumes your thoughts? This doesn’t necessarily have to be a bad thing. However anything you think of more than God himself, is your idol. Ministry could be your idol as well. Serving God through ministry and being in His presence of God is not the same thing. Your desires could really mess you up, even if they are good desires (meaning they are not evil), when they are out of control and consume your thoughts. So if there is something that consumes your heart and mind then we need to get rid of it this month. Remember the idol was created and destroyed in the same month. I will tell you this, every person that I’ve taught this technique to says it worked for them. So, it is 100% guaranteed to rid you of that idol if you follow the instructions. 1. You wake up in the morning and this thing is on your mind. You need to pray about it immediately. So let’s say that is has to do with your business that is failing. Pray all the scriptures, pray for as long as you want to pray. If it takes you one hour to get this out of your system go ahead and pray for one hour. 2. After you’re prayed about this, you are done with it for the rest of the day. It is no longer allowed to enter your mind. 3. If this thing comes into your mind after your morning prayer, this is where you throw it down. You now need to do some battle in your mind. The word of God says (2 Corinthians 10:5b) “… we take captive every thought to make it obedient to Christ.” Open your mouth and pray “I’m taking captive this thought of ___________, I am casting it down from the throne of my mind. I’m bringing it under subjection to Christ. You can no longer enter my mind for the rest of this day because I’ve already prayed about this. I put Jesus and Him alone on the throne of my heart and mind. I’ve already handed this over to the Lord and will wait on His timing to fulfill it.” Then go into worship. Start singing a song and move on with your day. Praise will rid it from your mind. 4. As you go on with your day, if you see a video or some article online related to the topic of your idol don’t read it or watch it. You can save it for tomorrow. Move on. You are not allowed to look at anything that will stir this up for this day because you’ve already prayed about this. 6. Every single time this thing comes into your mind for that day you go back to step #3 and start singing praise songs. Now the following morning, if it’s there in your mind you can pray about it again, watch the video you saved from the day before or read the article, pray for as long as you want. Then if it comes back to your mind on that day, repeat steps 2 – 6 for that day. I promise you by day #3 or #4 you won’t be thinking about it anymore. If it tries to enter your mind it will be much less than it did in the beginning. Now I know you may be thinking why would I want to pray about it every morning anyway? Because if you are a committed Christian most of the things that are idols are not bad things. If you have an illness, I’m not telling you not to pray about it. If you have a prodigal child, you need to pray for them. What you don’t want do is let this thing consume you. Just do it once per day in the morning and get that out of your mind for the rest of the day. What you will find is that you now have freed up some space in your thought life. Now you can start asking the Lord what He wants you to do now that you are no longer thinking about this thing. Your entire focus will be shifted and now God can get through to you and start speaking to you about other things now that the idol is no longer in place. This term came from TV show Star Trek because they were able to move at the speed of light through space. Angels move at warp speed. That’s why they can move from the 3rd heaven to you in no time when you need help. I’m sure you are thinking that we got from January – June really quickly. Well, June – December will move even quicker. It will feel like 1/2 the time of the first half of this year. There was no rider on the back of the horse. I imagine that the horse can move even faster without the extra weight. This is a word in itself for someone – whether it be your physical weight or the extra baggage you are carrying in your life – people, emotional or spiritual baggage. You need to off load that or you won’t be able to move as fast. 1 Kings 18, I’m sure you all know the story of Elijah praying for rain. 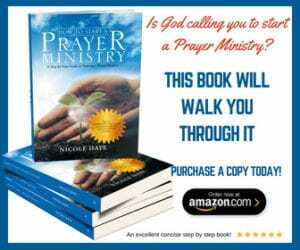 He prayed and sent his servant to go look for the rain cloud. Well, nothing happened until the 7th time. 7 is the number of completion. Perfection. At the appointed time. We need to realize that Elijah knew ahead of time that the rain would come BEFORE he started praying for the rain. Read verse 1 and you’ll see that God told him go to Ahab and I’ll send the rain. When God gives you the word know that it will come to pass. Elijah, when the hand of the Lord came upon him, was able to run faster than Ahab’s chariots. This was a supernatural speed. It is said the distance was somewhere between 17-30 miles. I’m sure the roads were very different back then and it was not a straight run. Warp Speed. 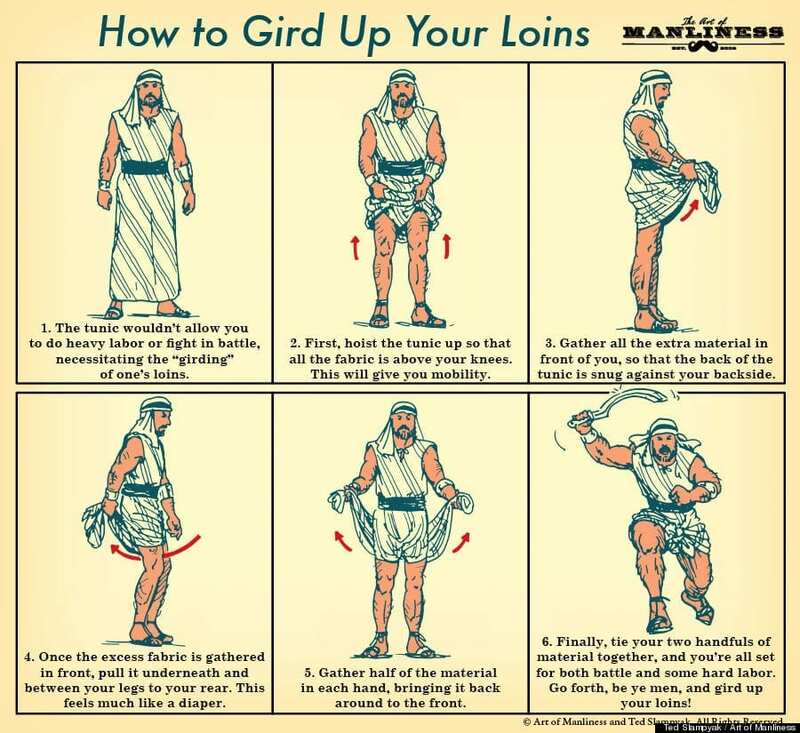 How do you gird up your loins? The bottom line is you won’t be able to run when there are things hindering your legs. So the warning of dealing with the idols will take care of the loins of your mind so that you are ready to run when the hand of the Lord comes upon you. The girding of you loins is in preparation for what the Lord has told you will come. Remember, deal with the idols and then warp speed! Have you already seen things happening in your life really fast? Please share below. And get ready it is about to go even faster! Also, remember we have a prophetic series in progress and you can see the latest posts here. God bless and enjoy your month! months have been a whirlwind. In late June, a brother in Christ called me to encourage me to apply for his old job that he was leaving. I said I would because really it’s a dream job for me and wonderful promotion that would be good for my family. As soon as I applied, I was consumed with doubt and worry that I would get the job and not be able to move because it was across the state and we were in a house with significant structural issues. I worried we wouldn’t be able to sell it and I would endure more shame about the house and have to turn down the job. It was silly because of course God provides. My husband continually spoke encouragement over me and the process while I was practically crippled with doubt. I was incredibly shocked when I was called with the job offer. Determined and encouraged by the Spirit, I began speaking Gods power and truth. I accepted the job and in less than a month we sold half of our possessions and moved across the state. Our house, the biggest “obstacle” in my mind, was sold as-is for the exact amount needed to pay off our mortgage, and we closed on it 3 weeks after finding our we were to move, the same day we moved to our new town. We found a place to rent and I started my job within a month. All of these blessings have been pouring out after a long season of drought and God continues to provide in amazing ways. We moved again 10 days later because the first house we rented was not safe. God provided a new and safer place to live, and helpers to get us there. We even were able to buy a second car after 5 years as a one car family. All these things happened with perfect timing and Gods wonderful provision. It has been such a whirlwind though! If I didn’t write it down I would probably forget everything that has happened! Please pray for me. Thankyou. I just don’t see how going back to an idol that your laying down would be effective? If you lay it down then you leave it there and trust God to fulfill that desire of your heart on his timing rather than going to watch a video about it again. If you pray about it but then go back to it then its seems completely counteractive. You are correct, and it depends on what the idol is. If it is something that doesn’t affect your day to day life (waiting for a mate, having a baby, dealing with unforgiveness, trusting God for a new home) then yes you can do this all in one day. However, if you are battling chronic pain or a terminal illness and this is what is consuming your mind it is hard to ignore this each day. The pain is there and it is real. In these cases praying about it once a day helps because you know it was addressed. We can’t ignore real issues. Hope that explains it. I finally felt Him saying to “Do it now. Quit making excuses.” That was Thursday. I put my posting the website. Sunday evening someone scheduled a viewing for Monday. Monday night I had a full price offer on my home. Tuesday night I was questioning my sanity. I LOVE my home. It’s exactly what I want. So I’m asking Him if I made a huge mistake, I go to my Bible and open it to my random chapter. Isaiah 44 to paraphrase…don’t chop down a tree and use 1/2 of it to cook and keep warm and then build an idol with the rest of it. Follow Him without question and He will guide you. Thank you for the inspiring message! I ned an explanation on the 4th point. It is not clear. Hello! Sorry about that. You are the 2nd person asking about the same point so I realized that I needed to rewrite it. If you go back to #4 and read from there it should be a lot clearly. Thank you for pointing it out. Blessings. So, we SHOULD be watching and reading the article on the topic of our idol the following day instead of avoiding it? Because in Step 4 we are advised to NOT read or watch anything pertaining to the topic of our idol. Hope to get this clarified from you soon, thank you! Hi Rebecca, yes the following morning you start the process again. So it’s not like you’re ignoring it, you acknowledge it in prayer once per day. The next morning when you wake up if you feel the need to pray about it again go ahead and do it. Only once per day. By day 3-4 you’ll find that you don’t need to pray about it anymore because what is needed to be prayed, has already been prayed. Now let me be clear that I’m referring to things that are not ungodly. This is for things that are quite fine but they have your heart and mind captivated like your financial situation, the desire to have a child, an illness, getting married, etc. Nothing is wrong with any of these it is when they consume our mind and heart that they become idols. Hope that clarifies.